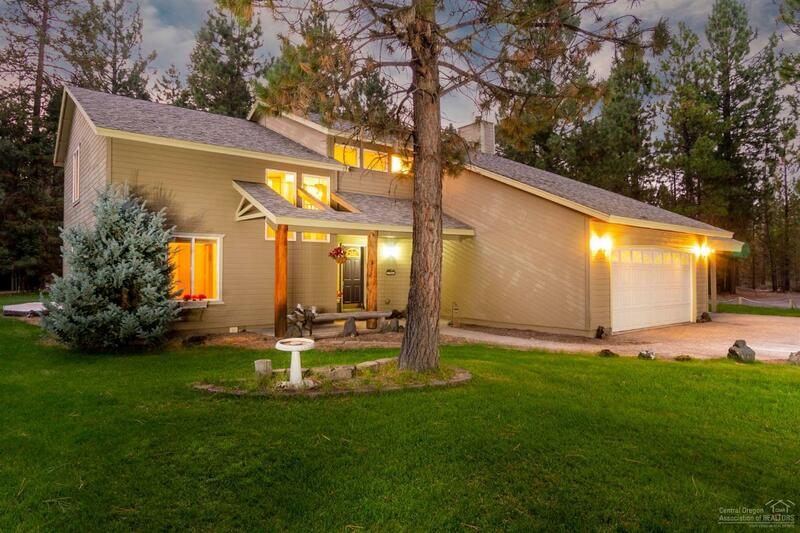 Privacy in Woodsy 2-story home on 4.35 acres/corner lot next to Deschutes Natl Forest & Little Deschutes River. Ideal horse property for vacation or rental. Easy access to recreation. Watch deer, elk migrate thru huge Ponderosa Pines from cathedral windows. Sunken livingrm, formal dining rm, family rm off kitchen w/dbl oven. Lge lower deck. Freshly Tiled Mstr bath w/soaking tub, Balcony deck. 1 bd/ba down, 3 bdrms/2ba Loft upstairs. Rustlewood/blue pine accents, 4plus garage/RV access/pkg. New roof!